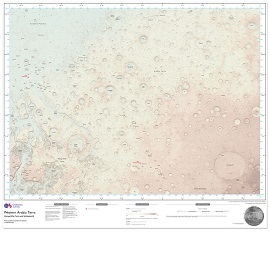 This Western Arabia Terra map is a topographical basemap full of our intricate detail for an area on the surface of Mars that's similar in size to the USA. 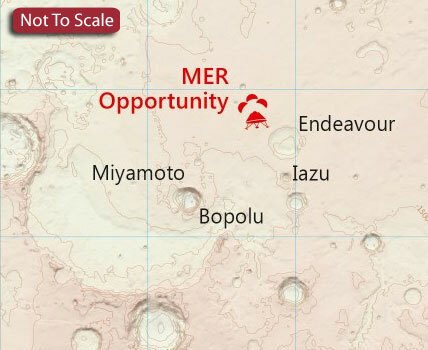 Showing a 3672x2721km extent (around 3.8m sq miles) of the Martian surface, this map of the Red Planet is Ordnance Survey's first foray in to intragalactic mapping. 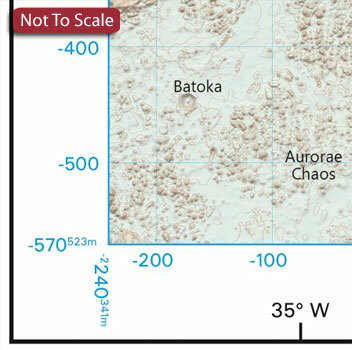 Created by OS Cartographer Chris Wesson using NASA open data and made to a 1:4,000,000 scale, the one-off map was made to see if their style of mapping has potential for future Mars missions.